You hear a commotion up ahead, when suddenly you see two Giant Teddy Bears trailing after someone for their food! They beckon people over for a bear hug and instantaneously bring their massive bellies together, engulfing the person so that only their head can be seen, sandwiched in between their Giant Teddy Bear bodies! Gentle with small children and cheeky with the big kids, the Giant Teddy Bears are unique and playful event entertainment. These stilt entertainers are the biggest, most interactive teddy bears ever! 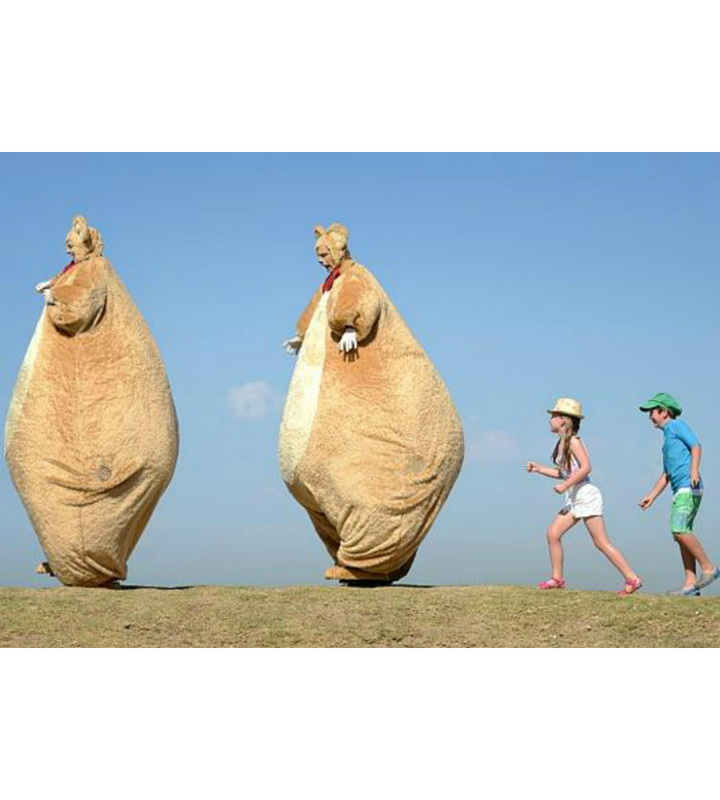 The Giant Teddy Bears are highly engaging event entertainers with infectious energy and humour. The Giant Teddy Bears combine the spectacle of a sophisticated stilt costume with high level verbal engagement by trained comedy improvisers. The Melbourne based Giant Teddy Bears have performed in Singapore, and Australian stilt performances include St Kilda Festival, Crown Resorts Melbourne and Deakin University Open Days (across all campuses). 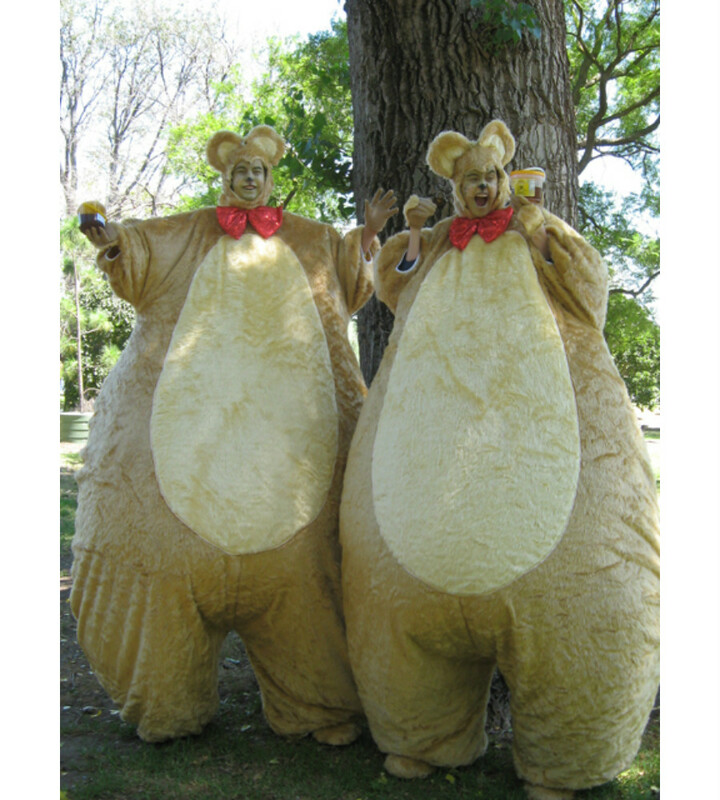 The Giant Teddy Bears are a part of the Jolly Giants’ stilt performer range, and are available as solo or duo performers. 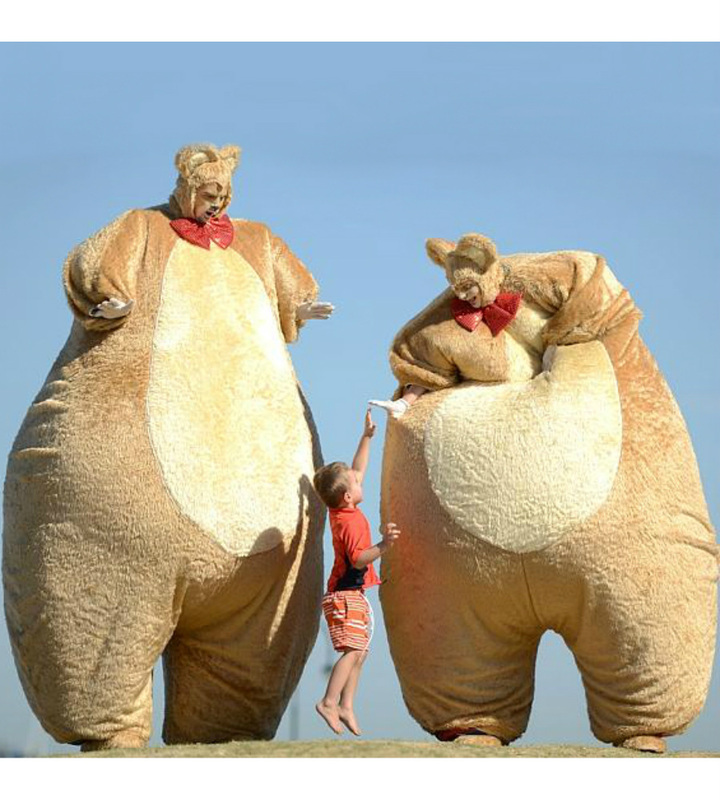 The Giant Teddy Bears are perfect event entertainment that both verbally and visually engage.